Emma Harper MSP is “thrilled” with the news that the second annual Stranraer Oyster Festival doubled its economic benefit to the town from the previous year. Independent economic research carried out by MKA Economics revealed that this year’s event generated around £1m for the local economy, thanks to higher attendance levels, more overnight stays and a higher average spend per head, compared to the inaugural event in 2017. This year’s event was attended by the Scottish Government Minister for Rural Affairs and the Natural Environment, Mairi Gougeon, following an invitation from Ms. Harper. 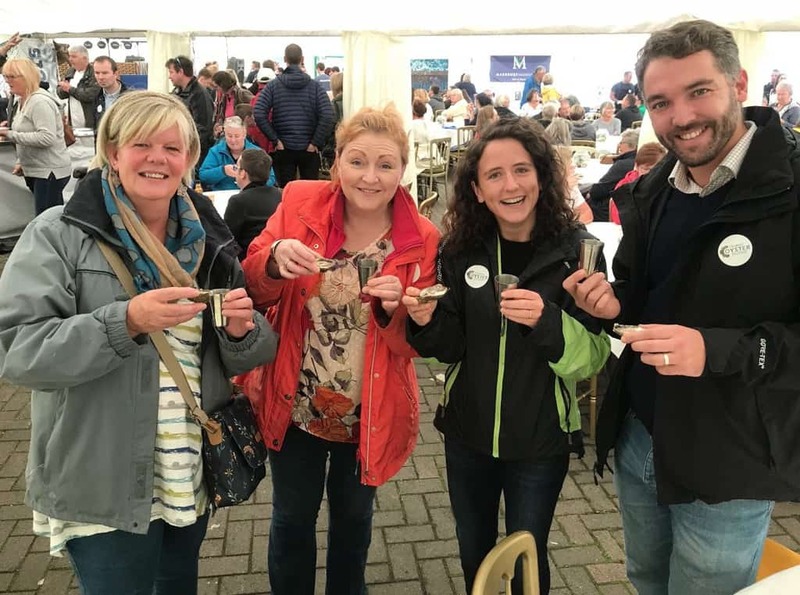 “I was thrilled to hear that this year’s Stranraer Oyster Festival generated around £1m for the local economy, and that visitor numbers and spending per head were also up considerably. “Mairi Gougeon, Councillor Ros Surtees and I thoroughly enjoyed this year’s Festival and we are already looking forward to attending the 2019 event. I hope to persuade a few more of my colleagues from Holyrood to come along to the Festival and enjoy what Wigtownshire has to offer. “The economic boost, revealed by this research, is great news and proves that Stranraer is a fantastic location to hold large events. Last week the town hosted the Scottish Rural Parliament and next summer Stranraer will be hosting the SkiffieWorlds, which will bring 2,000 competitors, as well as their friends and family, and fans of the sport to the town. Seafood Street Food & Family Fun the focus of 2018 Oysterfest!